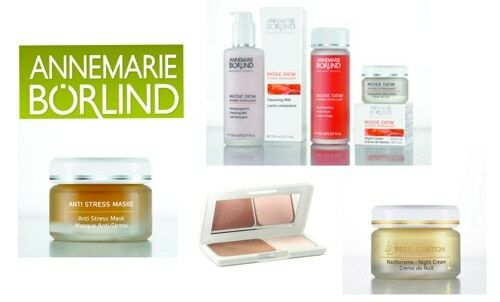 Annemarie Borlind Beauty Essentials is an all natural, botanically-based skin care line which is clinically proven to keep skin looking fresh today, and ensures skin will remain healthy for tomorrow. I was able to test out their Anti Stress Mask the other day and really enjoyed it. It left my skin feeling fresh and revitalized. I also noticed that the next day I looked noticeably more energized and not as tired as the day before. All ingredients in Annemarie Börlind products are guaranteed to be 100% free of toxins, pesticides and other pollutants. All products and materials used in the manufacturing process are bio-degradable. One thing I also appreciate about this new line of essentials is that they are branching into cosmetics. They even have a gluten free lipstick! Also, don’t forget to check out their men’s care line as well. Overall I was very satisfied with the results from the products I was able to try out and I definitely recommend looking into which skin care line of Annemarie Borlind that is best suited for you! Visit their online website for more information on products.